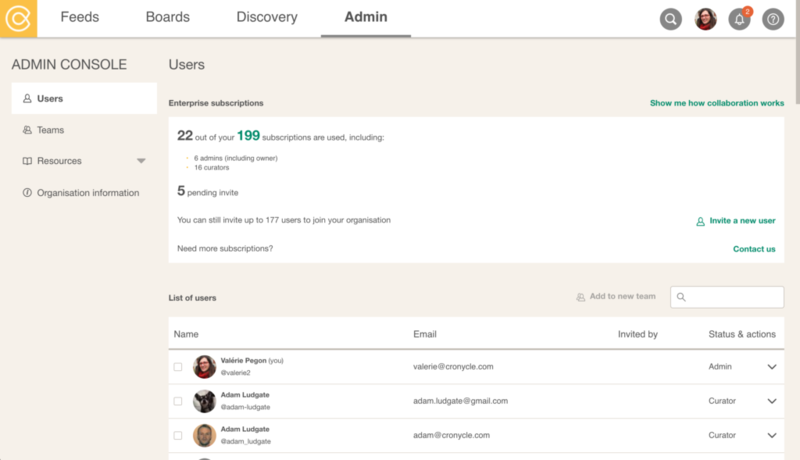 Invite others to join your « organisation” in Cronycle. 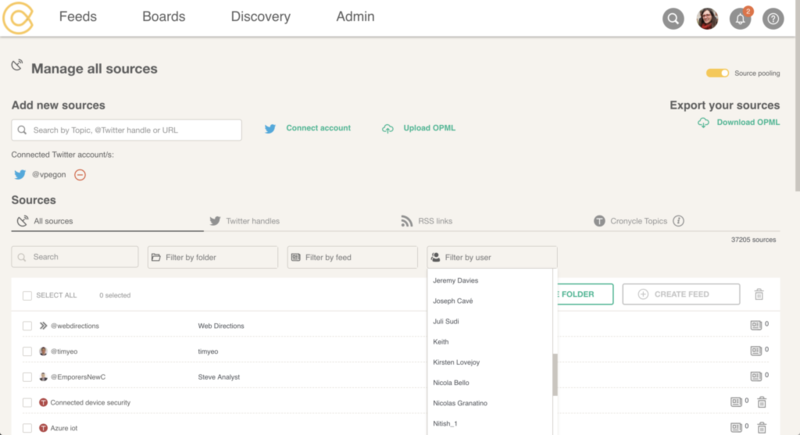 As an admin, you get to manage accesses and create teams. 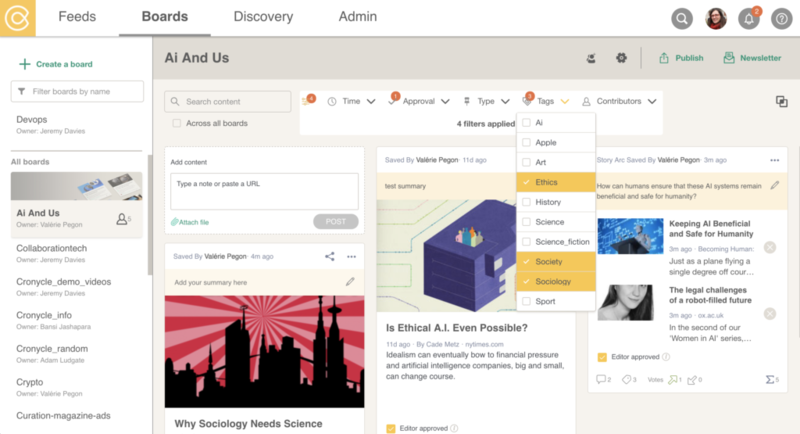 Board owners can invite collaborators who can add and enrich content. 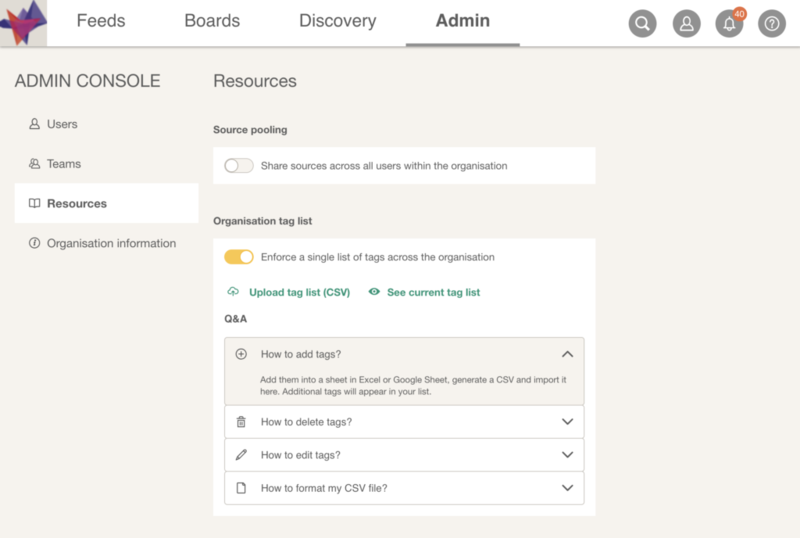 Enterprise customers can do more: pool sources within an organisation, define a common list of tags, transfer accounts, etc. More coming soon!